There is still time to enter use the Form below. 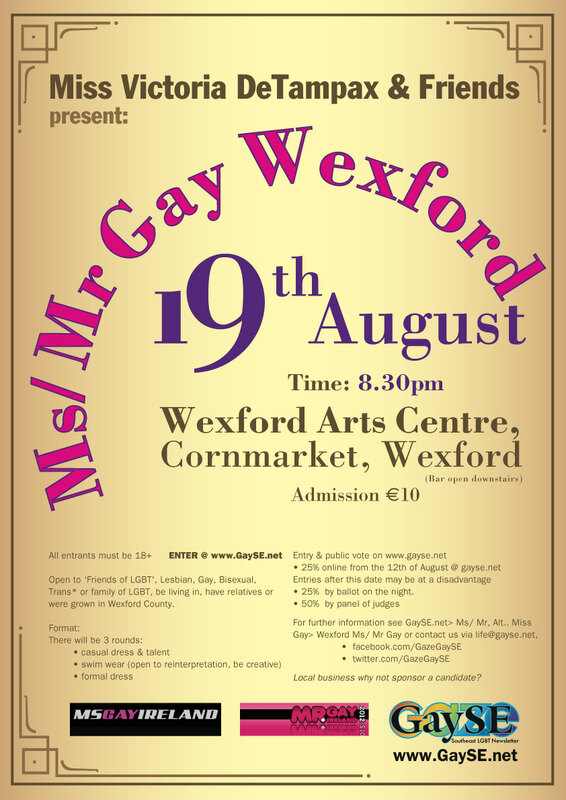 To see the show come along to Wexford Arts Centre on the 19th of August 2011, starting at 8.30pm. Hosted by Ms Victoria DeTampax DragQUEEN were seeking Ms & Mr Gay Wexford to represent County Wexford in the nationals in Limerick & Dublin. Book your tickets here or get them on the night. This event is inclusive of everyone of the LGBT community, friends & family of.